Dropshipping is a retail method in which merchandise is shipped to the customer directly from the warehouse or supplier rather than from the retailer. It is a business mode in which the Drop-shipping clients do not keep goods in stock, instead they transfer their customers' orders and shipment details to LaptopBatteryDirect.net. LaptopBatteryDirect.net then ships the goods directly to their customers. Drop-shipping clients make profit on the price difference during the transaction. 1You do not have to purchase any merchandise until you have sold the item and collected the money from your customer. 2Then you purchase the item from us, and we ship it directly to your customer. 1We do NOT include our company name, logo anywhere on or in the package. 2We do NOT include the prices paid for the merchandise. 3We do NOT contact with your customers, your customers will be still loyal to you. 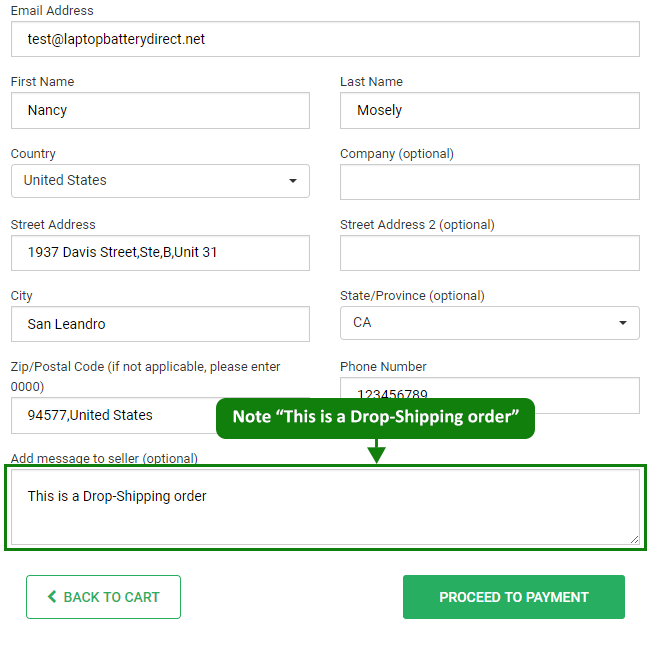 How to start drop-shipping with LaptopBatteryDirect.net? 6After dispatched we will send you one tracking number.